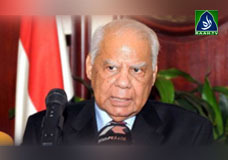 referendum on the revised constitution will be held in the next 30 days, Egypt’s interim Prime Minister. Power cuts to be eliminated by 2017, claims Abid Sher Ali. ‘LB election impossible on January 18 in Sindh’, Sharjil Memon.